I hope you're having a great day so far! 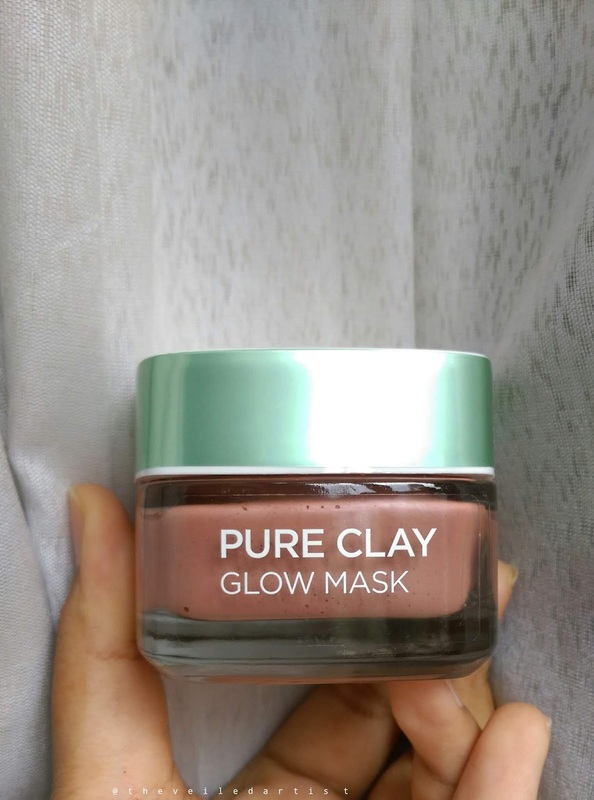 I've been having a crazy busy day but I am so glad I finally found some time to sit down and review this L’Oréal Pure Clay Glow Mask and let all of you know exactly how I feel about it as I have been testing it out for about two months now! So let's get started! 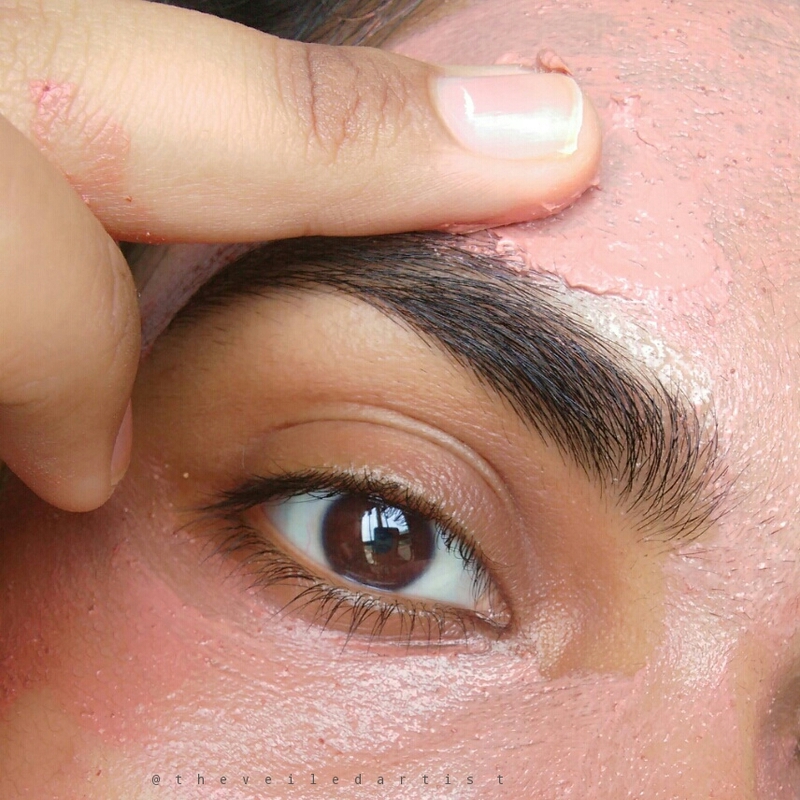 I purchased this mask on feelunique along with some other skincare and loreal products(just fyi, I had to pay way too much customs when it got to Sri Lanka haha). It costs £7.99 and you get 50 mls of product. The mask comes in a heavy glass pot with a mint green lid that screws on securely. 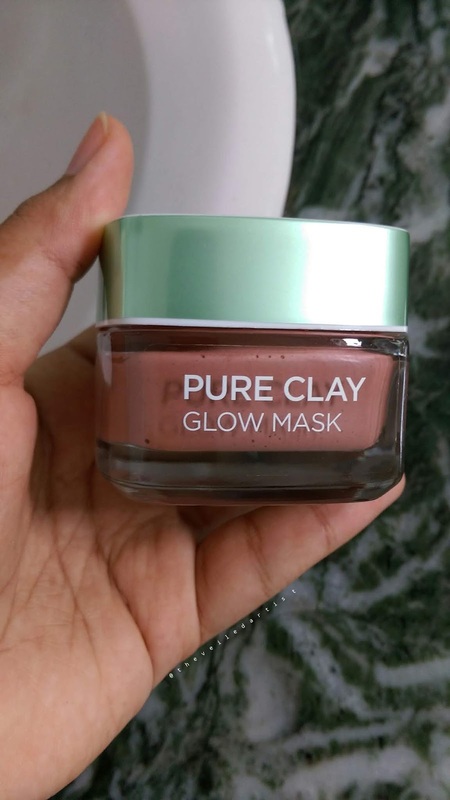 While the glass pot and colours of the packaging gives this mask a very luxe and high end feel and look, it is not the best thing if you are trying to travel with it and you will definitely have to transfer it to another container because it is super heavy and bulky. When you open the main lid, you have a white plastic lid inside and I feel like this helps keep the ingredients in the mask extra fresh. 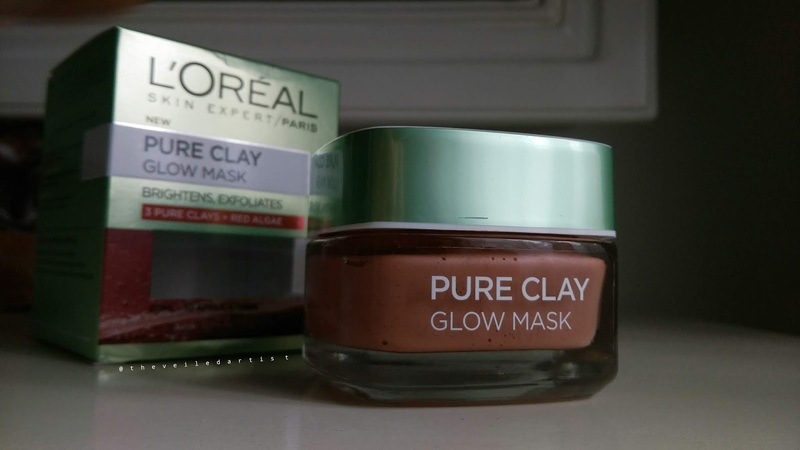 The very first thing that I must tell you about this mask and all of the other L'Oreal pure clay masks is that they are heavily scented and I mean HEAVILY scented. They almost smell like after shave and even though I am not someone who is sensitive to strong fragrances, I felt overwhelmed the first few times I used the masks. However, the smell tends to fade when the mask begins to dry in about 10 minutes. 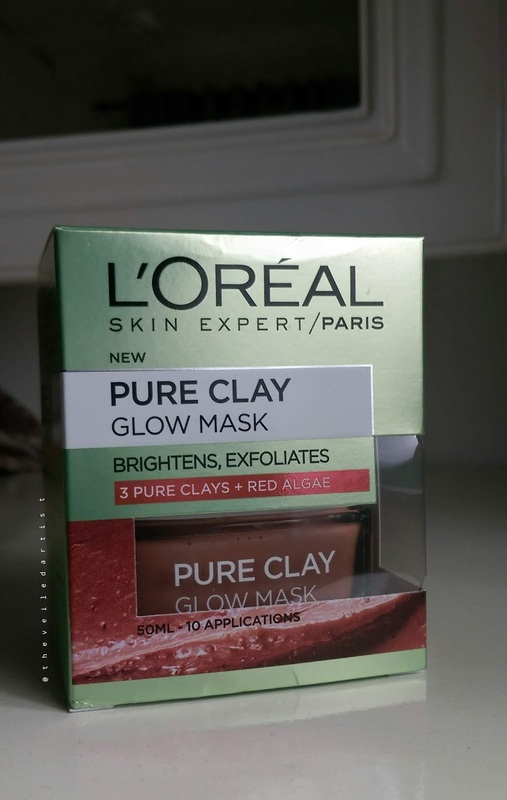 On the packaging, L'Oreal says that you must leave the mask on for 5-10minutes and remove it with a wet towel or warm water but it takes way longer than that to dry. I would say that it takes about 20-30 minutes to fully dry and if you want to experience the full effect of this mask, DO NOT remove it right away as recommended. I recommend that you dampen your face and rub the mask in circular motions and since it has exfoliating particles in it, you can get some good exfoliation going! Washing it off can get a little messy and you can use a towel for this. I have not noticed any brightening effect after I remove this mask but it definitely gives you a GLOW!! It exfoliates the skin so well if you use it as I recommended and since it is not drying, it leaves my oily-normal skin looking glowy, fresh and plump, which are all words I live for! I absolutely love this mask you guys. 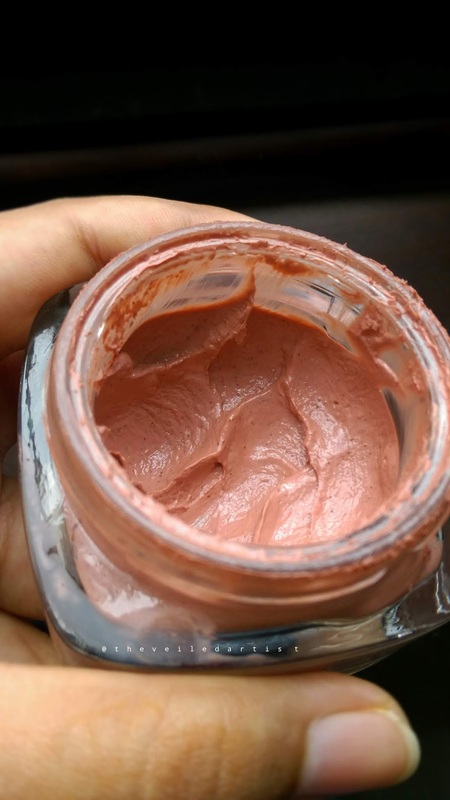 I initially started applying this pink mask using a brush but I have since learned that the best way to apply it is with your fingers on a slightly damp face. This way, you get an even application while also using lesser product. 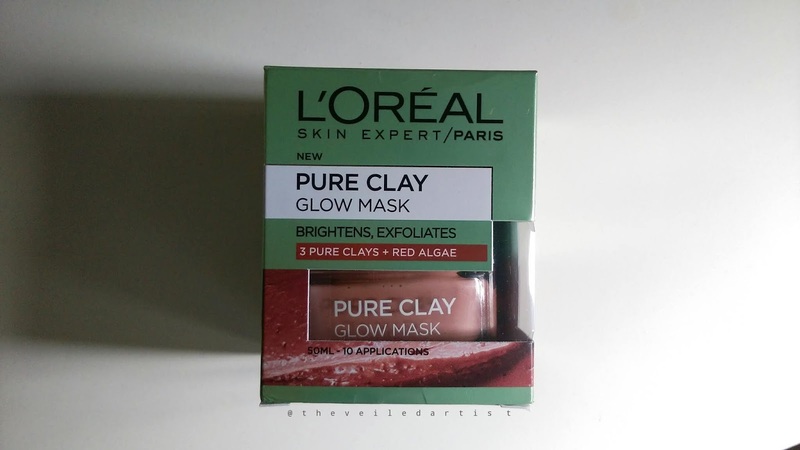 L'Oreal claims that you can get 10 uses out of this 50ml jar of product but I have probably used it way more than that and I'm only halfway through! I would!! 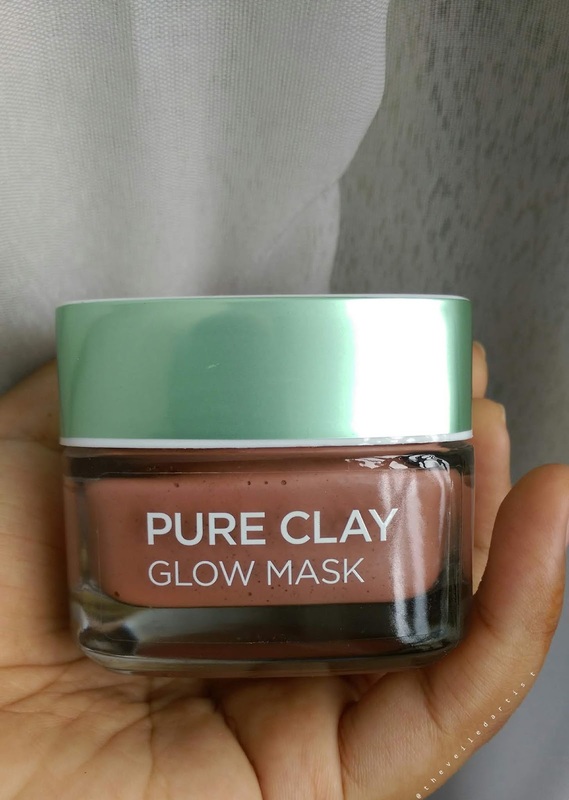 I looove how this L’Oréal Pure Clay Glow Mask makes my skin look and feel and I have even started to like the scent of it. It is super affordable and you should definitely try it out if you feel like you can handle the fragrance!